Reliance’s Head of Metrology, David Torr, was part of a select group of delegates invited to meet with Lord Prior of Brampton, Parliamentary Under Secretary of State at the Department for Business, Energy and Industrial Strategy, when he launched the UK Measurement Strategy at the National Physical Laboratory’s (NPL) North of England base in Huddersfield. As the UK’s National Measurement Institute, NPL led the development of the strategy, which supports the Government’s Industrial Strategy, with its national measurement laboratory partners. 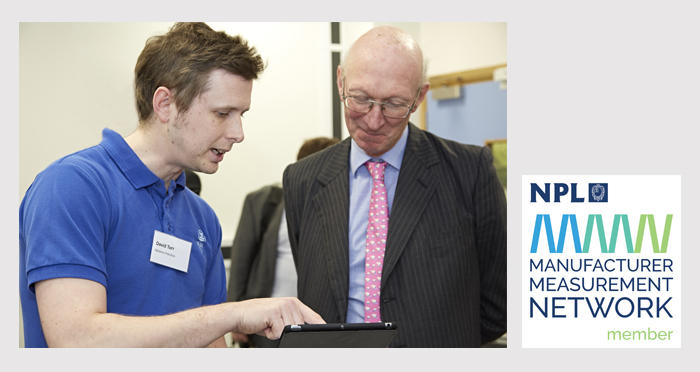 As part of his visit, Lord Prior was keen to meet local businesses who had benefitted from the measurement support services NPL provides. Reliance were one of only six companies invited to attend the high profile event. One such example explained to Lord Prior was a project Reliance undertook with a large multi-national company. Components for a new product design required machining to accuracies better than a micron over a continuously changing surface. Whilst Reliance identified they could physically measure the features, they wanted to gain independent validation that the measurements they were recording were of the correct quality. Working alongside the NPL team and using their specialist machinery and software, Reliance were able to prove the validity of their measurements, providing both themselves and their customer the reassurance of their capability to consistently deliver a highly accurate, highly precise component.